If you've spent any time in the Tri-Cities in the last few years you've likely at least seen a location of the Roasters Coffee chain. The chain is a 10 year old brand of drive thru coffee stands with about 10 stores around the Tri-Cities and Walla Walla. And, now Roasters is planning to expand to the Inland Northwest with new stores coming soon to the Spokane area. They are planning a location at 2505 W. Northwest Blvd. which they hope to have open by the end of 2019. Another location is planned in 2020 near Airway Heights along US 2 and others are in the works in Spokane Valley on Argonne Rd. and Evergreen. They say their goal stands at 5 stores in 5 years and then setting a long and committed goal towards reaching the entire population. 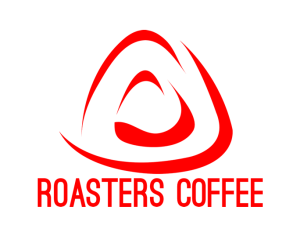 Roasters Coffee has been roasting their own coffee since 2011, they roast daily and have the same coffees from the same farms year after year. Wes Hayden, owner of Roasters tells me " we might be considered fast casual coffee but the guarantee is the coffee your getting is high specialty grade coffee roasted extremely well. Which isn't true for many drive thru chains ". He goes on to say " one of the things we focus on is the coffee, that will always be our first goal ". Also Roasters Coffee brings more value to the people and communities they serve, last year they offered a day a month in revenue to local charities. Roasters Coffee is truly a community driven coffee company.